We checked out of the hotel in Tiberias this morning to move on to Jerusalem after the days touring. We went to Cana (Jesus’ first miracle at a wedding) and stopped at a catholic church that was supposedly built over Mary’s home. They had the footings of the original house there, but to be honest… they looked fake. Almost like they were casted in place ala Disney World scenery. 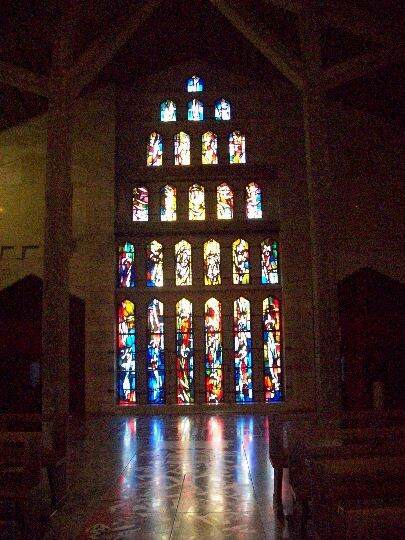 Then we went off to Nazareth to visit the Church of the Annunciation (dedicated to Mary – Catholic). It was pretty cool. Then we headed to Meggido – The site of Armageddon. 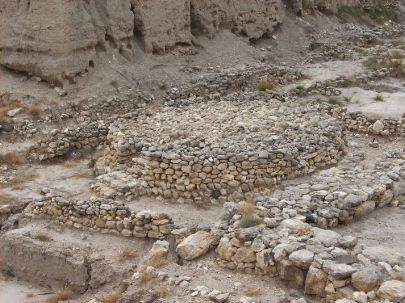 We saw ruins from750 BC. That location has been built, conquerred and rebuilt 21 times. At one point it was occupied by the Cannanites, who were apparently into human sacrifice. The next photo is of a sacrificial altar. 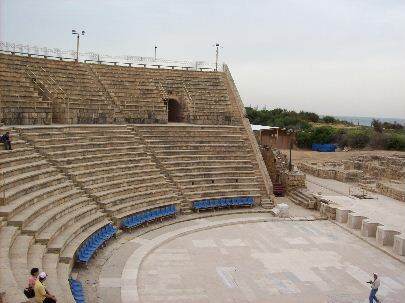 We finished the day in Caesarea – Originally built by King Herrod. 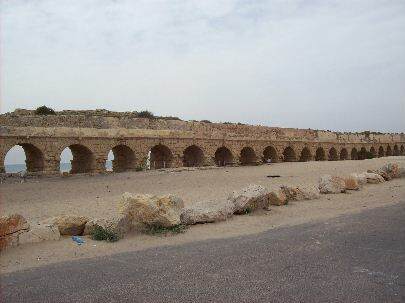 Below are pictures of the aquaducts that fed the city and the ampitheater. Just so everyone is aware… Gabe stinks – literally. Today we went to the Sea of Galilee, which is really a large large, freshwater lake (4 miles by 22 miles or so). We took a 30-40 minute boat ride with some site-seeing. They have a boat they call the Jesus boat at the museum. Jesus really had nothing to do with it, but it was dated to the time of Jesus. I suspect adding Jesus to the name is just a marketing hook and it seemed to be working. I was impressed with the gift shop. They advertised their website – jesusboat.com – on everything. I also got an opportunity to do some mullet hunting. I bagged a couple of good ones today with Gabe’s help doing spotting and with being a decoy, but again… I couldn’t upload them. Tomorrow we’ll be in a new hotel and the pictures will be up. We also went to a couple other holy sites (who’s names escape me at the moment). Most notably the church that contains the altar (more of the remnants of and altar) where Jesus is said to have performed the miracle of the fishes and loaves. They had a great koi pond and crazy, original mosaics that were totally restored (pictures tomorrow night). The coolest place, in my opinion, was Bet She’An. It’s an old Roman/Byzantine ruins site. Very cool stuff – columns, a theater, aquaducts, mosaics, etc. I’ll be glad to move move on to Jerusalem tomorrow. This place is about 1.5 miles out of the city and the hotel goes dead in the evening with all the older people going to bed at 9:00. I guess the new hotel rocks and is actually in more of a metro area.